International co-production is the current big trend in the European animation industry, where we can find many interesting animation film/series projects in Europe that feature international co-production. The merits of international co-production are by no means small, such as financing, sharing expertise and enabling a small team to accomplish a big project with international co-production partners. In this article, we would like to introduce a new concept that could further advance online digital animation co-production: Artella. Artella is an online animation production platform from the USA, founded by Bobby Beck. You might’ve heard of him as the founder of Animation Mentor. Bobby Beck released his new animated short developed with Artella on 5th March. We are honored to hear about Artella from him at this propitious time. Animationweek: Could you please briefly explain Artella to our readers? 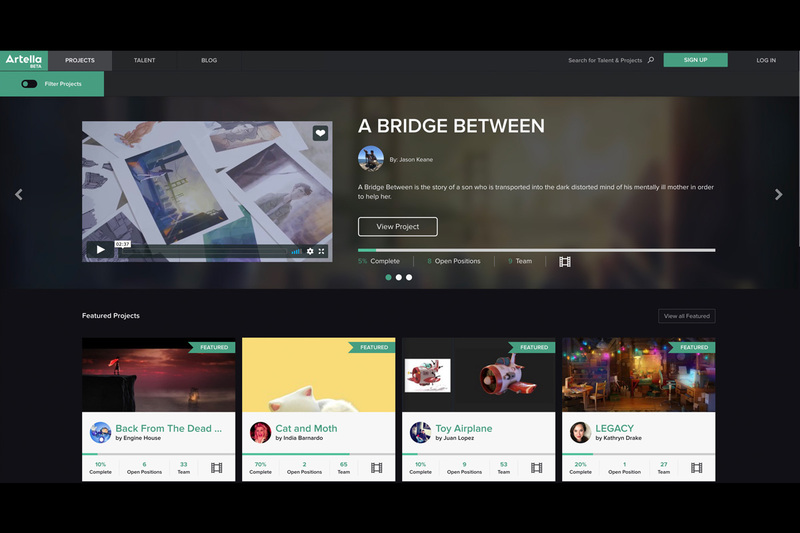 Bobby Beck: Artella is a cloud-based production platform for creative projects. We’ve primarily been focusing on complex projects such as animated films, games, and virtual and augmented reality experiences. The platform allows people to form teams with community members and use our platform tools to manage their team, the tasks that need to get done, the files and versions as well as the reviews that need to happen. There are many services that do one of these functions, but we have yet to find one cohesive platform that does it all in one place. We also have an enterprise version of Artella that several large studios are using. The enterprise version is available per request as it is not part of the platform available at our website. That will change later this year, but for now, if studios would like to demo Artella, they can submit a general inquiry through our support desk. 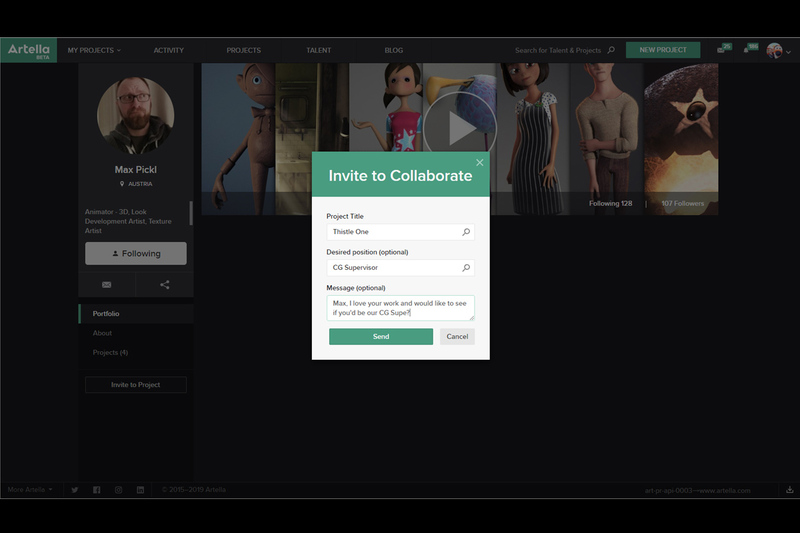 Indie and all other non-commercial projects can use the free version by clicking here to sign up on Artella. Animationweek: Why did you decide to develop Artella? 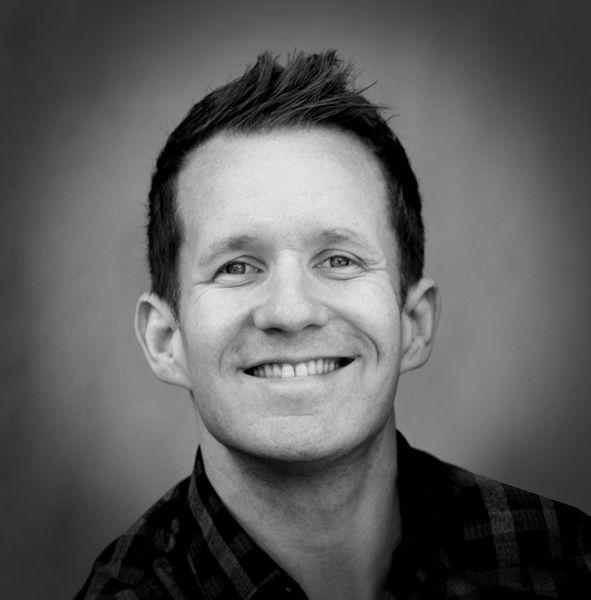 Bobby Beck: We started an online animation school back in 2005, called Animation Mentor. The learning platform was designed to bring together students from all over the world to interact with and learn from mentors who are professional animators, and from each other. We’ve learned a lot over the past 14 years about how to create cohesive experiences, but could we create a platform that allowed people to work from anywhere and make cohesive productions together? That was the genesis of Artella, to make a platform where artists could come together from anywhere in the world to pool their talents and make great content. We wanted to level the playing field so that anyone could have access to the same powerful tools that studios have. We’ve learned a lot since we launched Artella in 2016. With each new project that is completed, we pour that learning right back into improving the Artella platform so that it becomes better, faster and more efficient. Animationweek: Could you please let us know about the initial stage of your latest short animation project, Thistle One, such as how you started the project, and how you gathered creators that you wanted to make the animation with? Bobby Beck: Currently there are over 500 creative projects happening in Artella with teams as small as 3 to projects that have over 200 people on them. Thistle One is a project that I created personally through the platform. We want to make sure the platform delivers on our promise and the only real way to do that is to create projects that push it to the limit, and then improve it so we can push it more the next time. I would like to note here that Artella projects are private and only team members can see the inside of projects. All projects have an overview page. This is like a Kickstarter page where people can find out more about the project, the open positions, etc., but, once accepted onto a project, the project is then only viewable and accessible by the team members. I tapped into the Artella community to form my team. We posted a pitch page and some positions that we needed. People joined in and we would meet once a week through Zoom (Remote conferencing service by Zoom Video Communications, Inc.) to host video conference team meetings. 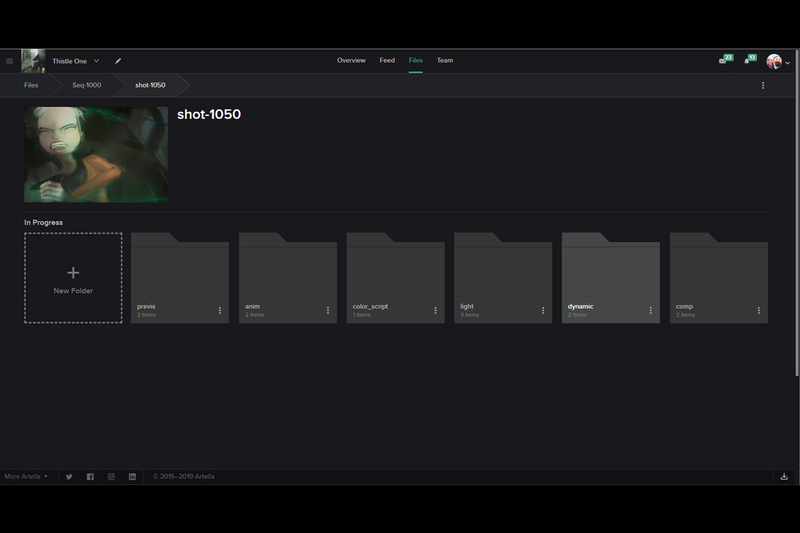 All work was posted for review in Artella and we would make notes, give critiques and feedback, and keep track of file iterations as we collaborated. As the project moved from stage to stage, those who were done working could continue to watch the progress on Artella and new team members would come on with each subsequent stage of production. We typically had about 8 – 10 members active at any one time. That allowed us to move from stage to stage and keep the active team members engaged throughout. If we’d had to pull everyone in on in day one, we would have lost many people along the way. Instead, we only brought on the people we needed at each stage, not a month or two, or more down the line. Animationweek: I would like to hear about the production process of the short animation on Artella, such as how you shared the vision for the final animation among the members, how you controlled the quality of the team members’ work, and how you managed the schedule? Bobby Beck: Luckily, we had a super strong team. Everyone was in it to make it great. I had a vision from the onset of what I wanted to achieve. I always told the team we were looking to create something that looked like a mix between Big Hero 6 and Pacific Rim. I thought it’d be cool to see high-end animation that was a little more real but still stylized enough to feel fresh and different. That vision and the reaffirming of it helped us stay true to that throughout. 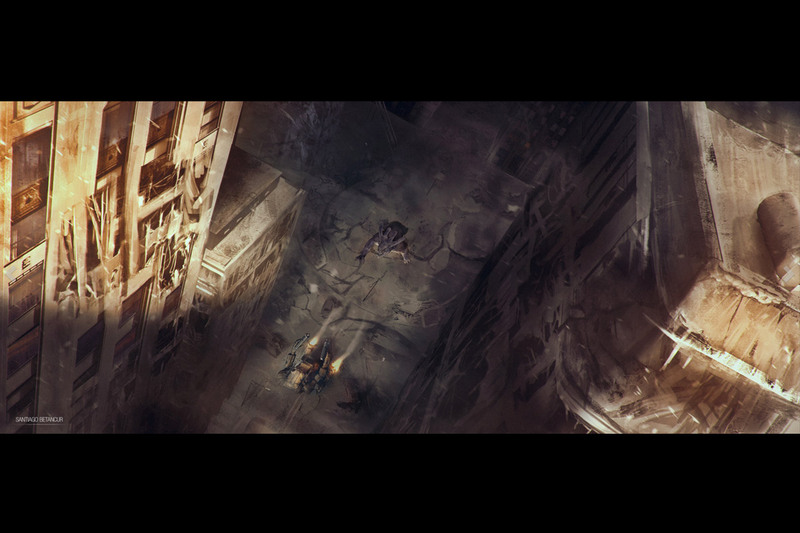 Our concept art reflected this too. We did color scripts early on too, so the team would know what it would “look like” before it was finished. This also gave us motivation to keep pushing and moving the project forward. The team was managed through Artella. We managed quality through weekly team meetings where we reviewed and critiqued work and provided feedback and direction to the team members. Because of Artella’s file management system, it was easy to ensure everyone was working on the correct version of the art at the right time. Scheduling was handled as notes and announcements in the visual feed of every team member. There was a lead in every department. This really helped us ensure that the look was consistent from shot to shot. I would post the latest cut of the film each week so we could see it. That way anyone on the project could pipe in and say what they felt was working or not. From color, animation to sound effects I wanted to make it a collaborative experience and not one that was fully driven by one person. When we finished the film, we put it out online as well as began pitching it to studios as a concept that could be turned into something bigger. Getting people to see it is one thing, but do they like it? That’s what we need to validate. Views, likes and shares really help with that. We’re also doing articles, in-person talks about the production and some festivals as well to spread the word. Animationweek: To make monetization possible with Artella, does Artella have any service or business scheme for each project? Bobby Beck: Indie projects are free. We plan to always have a free option to help independent creators get started. 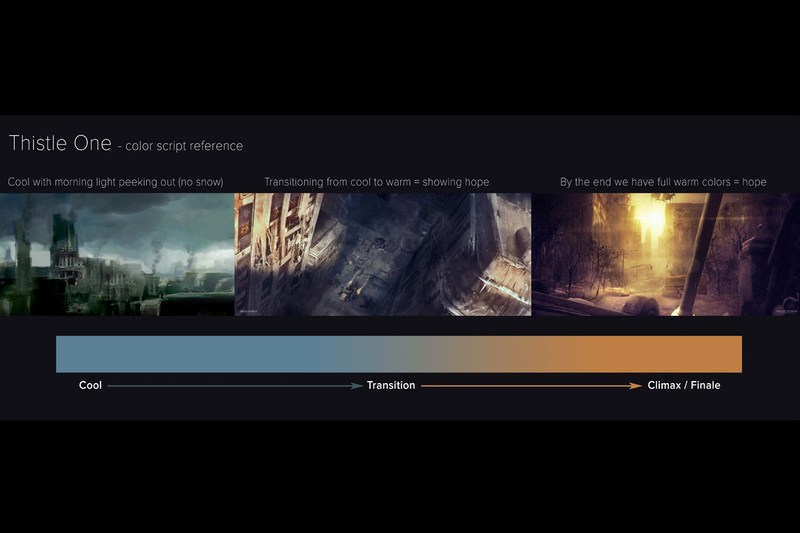 There will be a paid product when we release our new production features in 2020, but today we’re more concerned about making sure it’s a platform that helps making complex creative projects manageable and possible. As noted before, Artella does have an enterprise version that is available upon request. That will be more readily available later this year and if people want to inquire about it, they can click here to request a demo of Artella’s Enterprise Solution.